High up at the extremity of Aspley Heath, almost lost in the woods, stands a building known as The Knoll. It started out as a private residence, but soon transformed into a boys boarding school. This ran for over 80 years, before becoming a private mixed day school. This lasted until 1987, when it was converted to flats. This is the history of The Knoll. 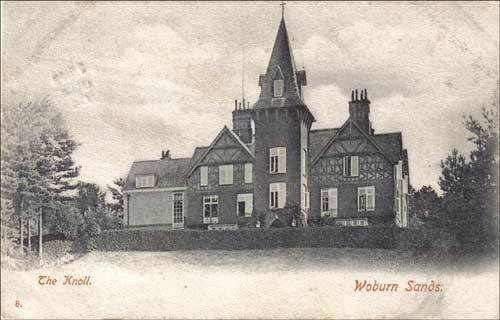 The ground where the building stands was originally enclosed by one John Giles, a timber dealer of Woburn Sands. In 1869, he obtained a Declaration in Support of Title that he had done this in about 1853, and that he had never paid any rent for it, which meant it was now legally his. In 1884, he sold the land to Emma Pain, wife of Robert Tucker Pain, for £510. By 1890, a Alfred Whittaker was living in there, so it must have been built in the meantime, as he is listed as being a private resident of The Knoll in the 1890 Kellys Directory. On Wednesday, 20th May, 1891, an advert appeared in The Times, reading: “Messers E & H Lumley – Auction, at St James Street, Piccadilly. Bedfordshire – The Knoll. 1¼ mile of Woburn Sands Railway Station, and four from Bletchley Junction – A well built and picturesque freehold residence fitted with every modern appliance delightfully situated in its own charmingly laid out grounds of 10 acres. 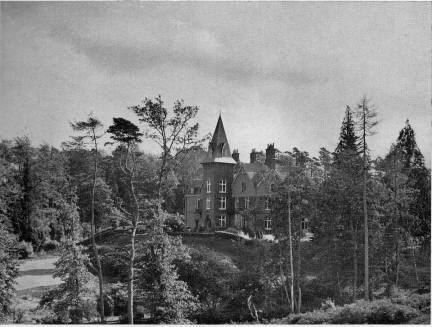 On dry sandy soil in the midst of aromatic pine woods and in good hunting country.” Perhaps it did not sell at auction at the first attempt, but in 1892, Emma Pain sold a 2.5 acre plot of land (for £680), to the Rev. E. F. Miller, and sold the Knoll nearby for the term of 21 years for £160 p.a. to a Harriet Susan Millar, the Rev’d’s sister. She in turn leased it to Rev’d Miller. Rev. Edward Francis Miller started his preparatory school with only seven pupils in 1892. He had for an assistant, the Rev’d F. F. Hort, who took over on the retirement of the Archdeacon, and Mr J. A. Zair was then taken in as partner. On Mr Hort’s retirement Mr Noel King came in as partner, after serving as an assistant for some years. When Mr Zair retired Mr King was in sole charge, but was soon joined by Capt. Peter M Sutcliffe, and the two carried the school through until its end in 1974, when, Mr King, having reached his three score years and ten, and running of such an establishment becoming more difficult each year, it was deemed wise to close while it was still viable. From its small beginning the school had accommodated 60 pupils, many of whom, in later years, became figures in national business, politics and religion. The Rev. Edward Francis Miller, was the son of William Hallowes Miller, the Professor of Mineralogy in the University of Cambridge. Edward was born at Cambridge, in 1848, and educated at Uppingham School, and St. John’s College, Cambridge. He was ordained Deacon in 1872, and Priest in 1873, before becoming Assistant Chaplain at Beaumaris Grammar School in 1872, then Assistant Master at Gloucester College School between 1873 and 1875. He moved to Highgate School as Assistant Master in 1875, staying till 1877. He then went to Colombo, Sri Lanka, as Warden of St. Thomas’s College between 1877 and 1891, and was Priest-in-Charge of Colombo Cathedral in 1877. Archdeacon of Colombo, followed in 1889-91, as well as Examining Chaplain to the Bishop of Colombo from 1878 to 1891, and Commissary to the Bishop of Colombo from 1892. Shortly after this, he left and returned to England and started the Knoll School. He had married Caroline Louisa in 1879, the daughter of William Ford, of Brookfield House, Highgate, and had four sons and one daughter. “After sixty years we feel it can be said that the Knoll now has a definite history. So for the benefit of those of us who have only just arrived and also for those who like to he reminded of the past this is a splendid occasion to give as much information about the past of the school as we can find. Previous accounts of the early days of the Knoll have been written, first by Mr. Hort in July 1929 and again by Mr. Zair in December 1942. From these accounts much of the following has been taken. We are also fortunate to have several early MSS to consult. We have the first Chapel Register which dates from 14th December, 1897, the day on which the Chapel was dedicated by Lord Alwyne Compton, the aged Bishop of Ely; a register of marks for the school dating from the first term, May 1892, and an unbroken record of Cricket Matches from 1897. The school magazine is, however, only a young production, being first published in March 1927 and limited to a few typed copies which were passed round and now appear in a very tattered condition. It is somewhat difficult to know how to give a clear picture of the original Knoll. The house was purchased in 1892 for Archdeacon Miller by his sister. It had stood empty for about four or five years after a very brief occupation, of about eighteen months, as a private house by its builder, who is reputed to have carted the “knoll” on which the house stands, so he could enjoy the view over the Duke of Bedford’s estate. As Miss Miller returned to Cambridge another would-be purchaser arrived to find that the deposit on the purchase money had been paid only a few hours earlier. Archdeacon Miller returned from Ceylon, where he was Warden of St. Thomas’ College and Archdeacon of Colombo, and opened the school in the summer of 1892. In July 1892 there were seven boys, four of whom were sons of the Headmaster and the names of the others were – Grounds, Horsfall and Bennitt. The staff consisted of three – the Headmaster, an assistant master who later became an Archdeacon of Exeter, and a visiting mistress from Bedford. The house up to 1897 was smaller than it is today, as there was no “New” wing. The boys’ entrance was by a door near the dining room. The present changing room was the kitchen. There was neither Chapel nor gymnasium. 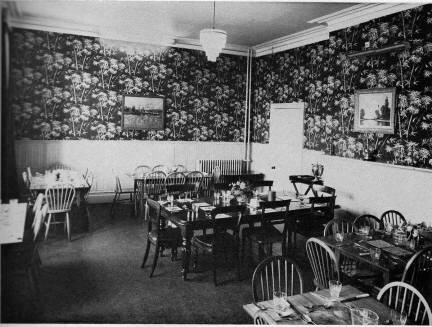 The classrooms were the present schoolroom, little boys classroom and the dining room. The cricket field, then smaller, without swimming hath or pavilion was the only field available for both cricket and football. Hockey as a regular game with proper sticks was not played. 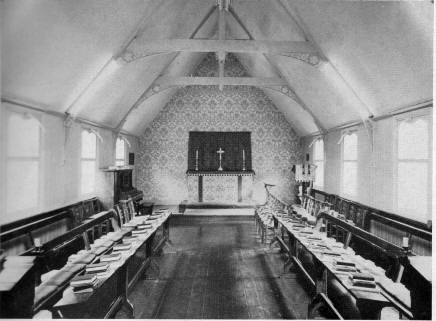 Morning and evening prayers were said in the Schoolroom with the staff and domestics perched on forms behind the boys. On Sunday mornings the school attended the Parish Church. In 1895 Miss Holmes joined the school as the first resident lady teacher. Mr. S. W. Churchill had already taken charge of the music and singing, which he continued to do, for forty-nine years, until his death in April, 1943. In 1897 the major alterations to the buildings were carried out. The new wing designed by Sir Reginald Blomfield was completed that autumn. It provided two additional classrooms, two dormitories, staff rooms and the kitchens. The old kitchen was made the changing room. The same time saw the building of the Chapel, vestry and corridor round the courtyard. The Chapel was dedicated on the 14th December by the Bishop of Ely, the sermon being preached by a parent, Bishop Ryle, the late Dean of Westminster, who was then President of Queen’s College, Cambridge. An electric light plant and power pump for the well – the school’s only water supply beyond rain water, were installed and the school took on the appearance it has today. Outside, the drive was surrounded by a holly hedge, twelve to fourteen feet high, flanked at either end by enormous fir trees. The “Paddock” provided rough grazing for sheep and a donkey. It was in the summer of 1897, before the alterations were complete, that the Rev. F. F. Hort joined the Archdeacon as partner. At that time there were twenty-seven boys. Mr. Hort was a bachelor and after coming down from Cambridge had been a master at Mr. Bull’s school at Westgate. It was no doubt due to him that we have from that summer a complete record of cricket matches. He says about that first match, on his first day, “How well I remember that first day! For I was to be in charge of the games, and there was a cricket match against Gadebridge Park (Hinwick House, near Wellingborough, as it then was), and no fewer than twenty-seven catches were dropped. It is no exaggeration to say that there were holes in every yard of the pitch nearly as big as one’s fist! No wonder, as the pitch had served as a football ground but a few weeks before.” Gadebridge Park scored 172 and some stalwart on their side cannot have minded the holes as he hit three sixes. The School were all out for 43, of which the pitch no doubt was responsible for the 13 extras. Back to the official history…. “The present buildings of the school were completed by the erection of the gymnasium in 1902. In 1910 the new drainage system and water supply for the district made it possible for the Archdeacon to carry out a long cherished hope and build a swimming bath, which was first used in the Summer Term of 1911. The first cricket pavilion, now the football pavilion, was built that winter by the boys with the help of the Carpentry instructor. Archdeacon Miller retired in April 1912 and Mr. Zair joined the staff the next term, becoming a partner with Mr. Hort in 1918. Mrs. Zair (then Miss Nicholson) took over the post of lady teacher in 1914. During the summer of 1912 a further clearance of gorse was made in the football field so that a second game could be formed. At that time the number of boys was twenty-nine. Further inroads were also being made on the gorse in the cricket field which originally had stretched right up to the “table.” During the first World War the spinney of pine trees near the swimming bath was cut down and the ground cleared for a vegetable garden. 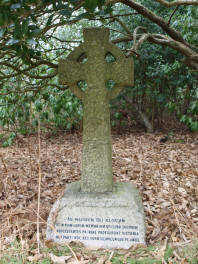 Shortly after the war ended a Cornish Cross was erected in the Spinney near the playground as a memorial to the twenty-four Old Boys who had made the great sacrifice. In 1920 the cottage by the cricket field was purchased with a view to making it a sanatorium. It is believed it was used only once for one boy as such. It was subsequently used as a staff residence. At the same time a triangular piece of land between the cricket field and the lane was bought. This now forms part of the cricket field and is the site of the nets. It was about this time that the donkey was placed on the retired list. He had been showing for some time an increasing unwillingness to make the journey to and from the station for parcels. He had refused to pull the mowing machine and spent most of his time enlarging the holes he had rolled in the football pitch. More felling of pine trees took place, this time on the south side of the football field. Gradually the fight against the gorse was continued until today it has been completely cleared. In March 1927 the first number of the Knoll Magazine appeared. It was limited to seven typewritten copies for internal circulation only. The following July it appeared for the second time and now in print. By December 1928 it was circulating in a modest way among the Old Boys. From these early numbers we find that the school entertained the parents and friends by an almost annual play, dressed, produced and arranged by Mrs. Hort. In February 1928 it was “Oliver Twist” (Three hours), every boy in the school had a part. In April 1929 “The Rose and the Ring” was produced in sixteen scenes. In July 1928 the School won for the first time the Preparatory Schools Spelling Challenge Tray. It was won again in 1929. 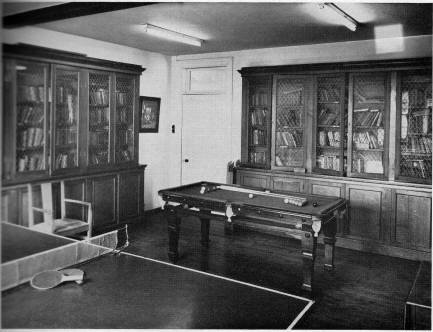 The School again won the tray in 1938 and 1939. An unfortunate influenza epidemic meant that one term in 1940 was lost; otherwise the tray would have been won for the third successive year and become the school’s property. This was most unfortunate as in an unofficial trial later the team would have easily won it. The competition was discontinued after 1940 due to the war and has not been revived. The first mention of the Dunstable picnic appears in the magazine for July 1927, where it is referred to as the “annual picnic.” It had been an annual event for many years before. The actual date of the first picnic is unknown, but it is known that the small boys travelled to Totternhoe by horse brake, while the bigger boys went on bicycles. The age old game of “Romans and Gauls” is still played with great enthusiasm on this yearly outing. In September 1929 Mr. and Mrs. Hort retired and Mr. King, who had previously been on the staff, 1923 – 1925, returned to become Mr. Zair’s partner. In September of the same year, Mr. Unwin joined the staff. In 1930 the first Old Boys’ Hockey Match was played in which the Old Boys led by Hugh Hebard won 7-2. In this match H. Merivale (1899 – 1903) was the senior Old Boy playing and W. H. Merivale his son kept goal for the School. This event together with the Fathers’ Cricket Match now became an annual event. The following year the “Triangle” by the cricket field was levelled and permanent matting nets constructed. 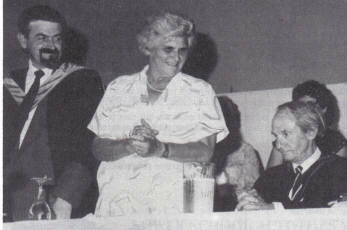 In July 1930 Miss Haslam retired after many years of faithful service to the school. In 1936 the New Cricket Pavilion was built – a memorial to an Old Boy, D. J. Northover – presented by his parents. The old pavilion, like the donkey, was retired to the football field where it still does honourable service in the winter. 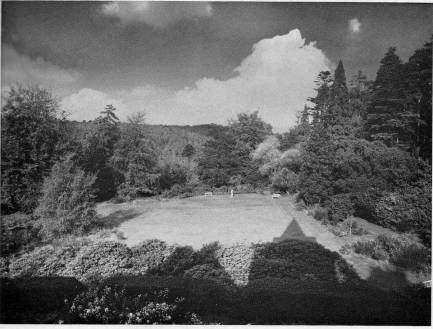 In 1937 the new Boys’ Gardens outside the schoolroom were completed. These had been designed by Mr. West, who, joining the staff in 1918, we are very happy to say is still with us. In December 1938 new dorsal hangings and carpet were placed in the sanctuary of the Chapel in memory of H. W. Barker, an Old Boy. These were dedicated on the 5th December by the Bishop of Bedford, the Right Reverend L. Barkway. During 1939, the lease of the school buildings being about to expire, the property was purchased from the landlords. Extensive external repairs were carried out, including the re-roofing of most of the main building and workshop and removing the mock-timbering. The School had barely acquired its clean face when the last War broke out. The School completed its fiftieth year in May 1942, but owing to the National situation it was not possible to celebrate the Jubilee. The memorial to the twenty-three Old Boys who died in the last War, silver candlesticks and crucifix, were placed on the Chapel Altar and dedicated by the Right Reverend Bernard Heywood, Assistant Bishop of St. Albans, assisted by the Rev. F. W. Bowler, the School Chaplain, on 17th June 1948. In April 1949 Mr. and Mrs. Zair retired after thirty-seven years of patient and self-sacrificing work for the benefit of all at the Knoll. The following term I joined Mr. King and became his partner the next Spring. Since then has followed a long period of refurbishing of all those many things it was not possible to do during the War. A washroom with basins and baths for the boys was installed in the summer of 1949. In 1951, with the imminent prospect of a major breakdown of the old electric light plant the school was completely rewired and went “on the mains.” Besides being able to enjoy the benefits of modern lighting, all those other electric gadgets typical of the age, have now been added to assist to our comfort. In reading again Archdeacon Miller’s Inventory of 1897 we shudder to think of how grim those dark ages were and how much we have changed in sixty years, and yet how little, as the final words of Mr. Hort’s history of 1929 are as true today as they were then. His remarks are a fitting ending to this history of sixty years. “My tale is done; and, if it has been in the main but a tale of bricks and mortar, we must remember that the real history of The Knoll is recorded elsewhere in the lives of those who have served it or who have been served by it and, may we never forget, in the lives laid down for it by those of whom we are reminded by the little cross under the trees” and by the crucifix upon our Chapel Altar. Endings can mean sadness, satisfaction and indeed, relief. The end of The Knoll will bring sadness to many, nearly all those who have been involved in its life in one way or another; satisfaction to those who have given so much here in the service of the school and relief, yes indeed, a certain relief to me, personally. I do not fear being misunderstood, but I will explain now, as it is closely connected with our decision to close the school. During the last five years it has become increasingly obvious that the day of the small school is over. Economics have made it impossible. Some have asked why we have not increased our numbers, as we could have done very easily, or taken day-boys – the escape route taken by very many schools. Everyone knows my views on large schools, and indeed on co-education, the other way out. It is only thanks to Peter Sutcliffe’s loyalty and self-sacrifice that we have managed to last so long. But, we have done it. I was determined that, selfish as it may sound, The Knoll should see me through, or rather perhaps that I should see The Knoll through. I have been here just over fifty years, forty-five as joint headmaster, and now that I have reached the immense age of seventy, I feel that I am no longer able to cope with the increasing difficulties of running the school. Hence the relief to which I have referred. I admit, at once, that my one ambition, apart from making the school a running success, has been that I would be able to hand it over in due course in even better shape than I had received it. A proper and natural ambition, I think, for everyone running a business. And let us face it, today running a school is running a business – or should be. It has been this ambition that has made the decision, not only difficult, but very distressing. As I have said before it has become increasingly obvious for some years that schools like The Knoll were condemned. Only a maniac or a millionaire – or, rather, a combination of the two would have been able to carry on our work here. I admit now that I have, in a most cowardly way, dodged the issue for some time, but my operation in November, 1972, brought it home to me that, like everyone else, I was vulnerable. So the decision was made: at the end very quickly, as major decisions should be made, if thought has been applied beforehand. A short but, I hope, an intelligible account of the facts that have brought us to our decision. What about the rest of the story? The last eighty-two years. What a time it has been! These last eighty years have seen, virtually, the start, the flowering, and, as I see it, the decline of the Preparatory School as it was originally meant to be. This will make many people angry – but I have spent most of my time making people angry, as many of you will agree. The preparatory school was originally an extension of the nursery at home and was peopled, almost entirely by boys with a nursery background. A boy went to his preparatory school and found a rather larger variety of home. He was read to, bathed and put to bed in his early terms. As he grew older he was still maintained as he was at home. Read to, supervised in his bath, his prayers heard. There were no green baize doors, no exclusive private side. We all lived as a family. I am not pretending that everything was perfect. Was any home perfect? Very often it was cold; the food not always very good and a good bit of bullying – less than in many schools today. But these were part of a life which we all understood. At the back of it all there was the knowledge that the boys were part of a family house, however uncomfortable at times. Today, however, there is an obsession with size and numbers. The modern theme is – the larger the better; and, indeed, there may be much to be said in defence of this rather dreary and vulgar idea. I admit that I have been increasingly depressed by the ready acceptance of this idea by people who really ought to know better. Many parents no longer have the courage of their convictions, however sound the convictions. So many too have failed to understand what we are trying to do. Countless times I have been asked if we had such a small school because we could not find more boys. So I have accepted defeat and am closing. No one is going to turn The Knoll into a humming hive of day boys, weekly boarders and little girls. Have we justified ourselves? I think so. We have never tried to be a glossy school with glamorous connections but we have done our bit in providing a full quota of men eminent in public life and, mercifully a large number of distinguished athletes. Much more important, however, is the fact that we have succeeded in keeping together over the years. Our gratitude to you all for your unfailing loyalty and support over the past years is beyond expression. Of course this has been a shattering decision to make, for me; softened, however, and helped by the letters from so many of you saying that you would rather have a complete break than a different Knoll. I like to think that we have created a community of a kind and I am so anxious that, somehow, this should continue. Otherwise I should feel that I had destroyed something valuable. I cannot end without referring to that really wonderful ball, which Patrick Sharman arranged so beautifully in July. Few people can realise how much care and thought he put into it. It made a magnificent finish, not end, to my time here, and I was deeply touched by the amazing response. The numbers were far greater than I had thought possible. Not to be outdone, Charles Allen, on behalf of the parents, arranged a very successful party at half-term in February. This took place after the hockey match against the Fathers. I would like to take this opportunity of thanking, on behalf of Beryl, Molly, Peter and myself both Old Boys and Parents for the magnificent and generous presents given to us – the Waterford vase, the decanters and my silver pheasant. On top of all this the parents gave us most generous cheques at half-term. Thank you all. You will all, I know, be relieved to learn that I have found a splendid and permanent home for the Chapel furniture. I went, recently, to see the Dean of St. Albans and offered the furniture to the cathedral. As it turned out he and the Chapter had decided to furnish an unused Chantry Chapel for housing the Reserved Sacrament and for private prayer; our crucifix and candlesticks are to be used there. The two statues are to be placed in different parts of the cathedral – the Madonna in the Lady Chapel and the St. Anthony in the North Transept. The two large oak torches are to be in general use. If any of you should visit the cathedral the vergers will show you where they are. The Headmaster of Aldenham has accepted the lectern, which is to be put in the side chapel of the school chapel. Thus ended The Knoll Preparatory School. But indeed, the Knoll did become a “…humming hive of day boys, ..and little girls”! Renee Soskin opened her private Bury Lawn School in the buildings, with Anthony Chadwick as Headmaster. This was the senior school, as they had a junior school at Newport Pagnell. Soon there was upwards of 200 pupils milling around the aged buildings and running amok in the grounds. (I know it was running amok, because I attended this school from 1980 – 1987…) The chapel became the school hall and porta-cabins were brought in as a science block. At some time the swimming pool had disappeared, as did the sports ground, which was sold off as building land. Arrangements were made to use a small rough field at the very end of the grounds, belonging to a neighbour, as a sports field, but it was far too narrow for any proper games. The tennis court remained. The large volume of traffic delivering and collecting children daily did nothing to improve Heath Lane, which was rutted and bumpy all summer and muddy all through winter, as well as the dangers of Church Road in icy conditions. As there was also a private pre-Prep Independent School, Fernwood, at the top of Church Road as well, the cars and various buses and coaches clogged the area. 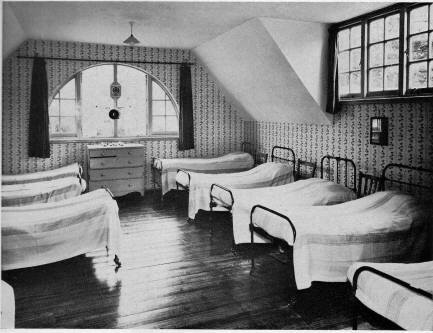 At this time Daneswood was still operating as a convalescent home too. My own memories of the school are of a very tired building that was in need of serious investment to keep going. Victorian and other antique fittings were quaint but unreliable, as was the heating system! More than once it failed and we were sent home, as the temperature fell below the recommended safe level. In 1979, the cost for attending Bury Lawn Senior School (per term) was £240, plus £27 for lunches, and £2.32 for milk. Beyond the “Bounds” was Woburn Golf Club, and all the track ways of Aspley Heath woods. There was little or no fencing, and we played where we wanted for the most part, as long as you were back by the end of breaktimes. Woe-betide any one caught trying to sneak back in though! 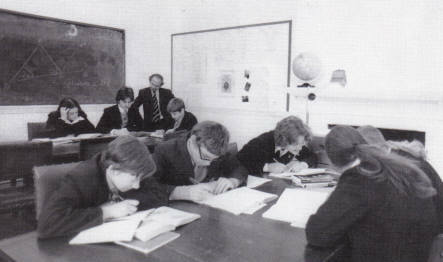 Mr Chadwick retired in 1986, after 15 years service to the school and the post of Headmaster went to the former Busar of the school, Rodger Pyrah. The next year, with The Knoll becoming increasingly unsuitable for the school to continue there, Bury Lawn moved to a new building in Stantonbury, Milton Keynes, that could house both Senior and Junior Schools together. The move occured in the Easter break. Bury Lawn School was later taken over by GEMS Education, who continue to run the school in Milton Keynes today. Rodger Pyrah and Renee Soskin congratulate Lt. Col. Anthony Chadwick on his retirement. As part of the deal for Bury Lawn to get their new school, Jarvis took over the Knoll and converted it to 11 flats. Five more flats were added, as well as four new dwellings added at the side and rear, where our Cookery room was. The Knoll is a magnificent example of late Victorian architecture at its best. The house was built around 1872 as a private dwelling and a 6 acre parcel of the Duke of Bedford’s estate was set aside for the project. The site is right on the edge of the greensand ridge and originally had magnificent views to the north and west across Aylesbury Vale. A distinctive ‘Tower’ rising four floors was a main feature of the front of the house and the observation room at the top still offers a superb vista across the whole area although the growth of the pine forest all around the house has now restricted views from the lower floors. 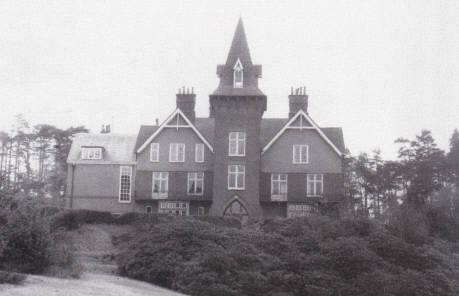 The Knoll became a private boys boarding school in the early part of the century and between 1977 and 1987 the house was used as a private school and known as ‘Bury Lawn’. The school has now moved into its magnificent new premises built for them by Jarvis in Stantonbury, Milton Keynes. Jarvis have taken The Knoll and set about completely refurbishing the building to the highest possible standard while at the same time retaining all the detail and character of the original house. The result is eleven luxury apartments with a scale and dignity that is entirely different to that found in new buildings. A lift has been installed and all common areas will be carpeted. However, to complement the extensive refurbishment Jarvis have also built a small, exclusive scheme comprising eight, two and three bedroom flats and townhouses in the grounds of The Knoll. This will enable purchasers specifically wanting the convenience and facilities of a brand new property to take advantage of The Knoll’s fabulous setting. The whole development is set within six acres of mature grounds, heavily wooded with pine and native species of trees. The sandy soil also provides an excellent medium for borders of magnificent rhododendrons. The scheme is approached via a long, private drive and a tennis court will be provided within the grounds for the use of the residents. A management company has been formed for the maintenance, insurance and upkeep of communal areas – the selling agents can provide more information on request. All units will have the benefit of a garage. The original Knoll building remains as flats today. Bury Lawn School changed its name to “The Webber Independent School” in 2011, and remains at Stantonbury, Milton Keynes.